Thanks to the Trump administration’s confusing stance, Colorado lawmakers have decided not to pursue plans to legalize social cannabis clubs in the state. Thanks to the Trump administration’s confusing stance regarding marijuana use, Colorado lawmakers have decided not to pursue plans to legalize social cannabis clubs in the state. Last month, the Colorado Senate passed a state-wide social-use measure that permitted the establishment of bring-your-own-cannabis clubs. However, the House has rejected the measure as bad timing could invite federal crackdowns on weed. The social use measure would have made Colorado the first U.S. state to regulate pot clubs. Since adult-use was legalized in Colorado back in 2013, public marijuana consumption has become a nuisance to many residents since the state only permits use on private property. With very few places that allow for social smoking, several underground pot clubs and meetups have popped up throughout the state. It only makes sense to allow people to have a place where they can [smoke marijuana] where it’s controlled and confined. We have legalized marijuana. Where do we want people to use it if not at home? On the street? The passage of the bill initially looked promising, as it was backed by bipartisan support. But lawmakers have ultimately decided that protecting Colorado’s current cannabis industry may be smarter than trying to break new ground at this point. Other recently legalized states like Nevada are facing similar issues when it comes to where marijuana is consumed. As of Jan 1, recreational marijuana use became legal in the state but like Colorado, use is restricted to private property only. Given Nevada’s strong tourist-based economy and vice-laden “sin city” vibe, local lawmakers are hoping to make Las Vegas the nation’s first public use site. As of now, all gaming establishments, hotels, and public areas continue to ban public consumption. But proposed legislation would allow Nevada to license public places or events for marijuana use. My thought is, rather than not knowing and making it a hazard for the police and everybody else, let’s provide them a venue. As Nevada rolls out their recreational sales on July 1, it looks as though the state might proceed with common sense legislation regarding social use despite the Trump administration’s unclear stance. But for now, Colorado lawmakers are proceeding cautiously, as not to tip off federal drug enforcers. 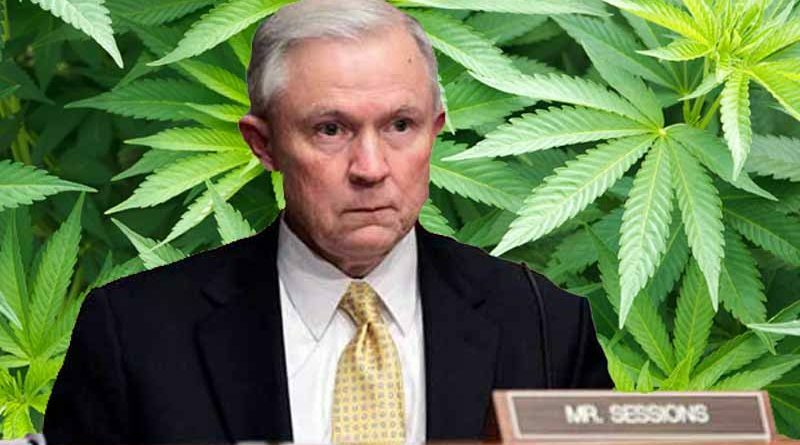 U.S. Attorney General Jeff Sessions has long-since disapproved of recreational and medical marijuana use in all 28 states that allow for its use.